Environmental Protection Minister Ze'ev Elkin warns budgets for religious Zionist schools could be in jeopardy if parties do not unite. 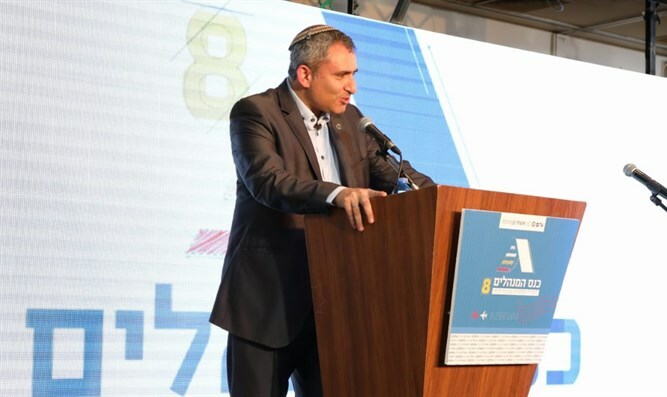 Environmental Protection Minister Ze'ev Elkin warned that the annual budgets for the religious Zionist educational institutions will be in danger if the small right-wing parties do not merge into one list. Elkin spoke at the 8th conference of religious institutions at the Dead Sea and said, "I want to share with you my concern for the great challenge of the religious public. It is no secret that a large number of the educational and social organizations here have not received a fixed budget anchor, and this is a historical error." "The whole high school education system of the religious sector depends on coalition budgets that come from the outside every year and are not anchored in the Ministry of Education's budget, and if the budget does not come, the entire system can collapse and the burden on the students' parents cannot be reduced. Elkin noted that the hesder yeshivas and Torah institutions are also dependent on these budgets, and the time has come to bring them into the standard budgets of government ministries. "I want to put before you the problem and the challenge," Elkin said, stressing that hundreds of millions of shekels each year could disappear due to the disappearance of the political representation of religious Zionism in the Knesset. "After the next elections, the reality will be more difficult, and it is time to change this reality and arrange it within the state budget," Elkin said.